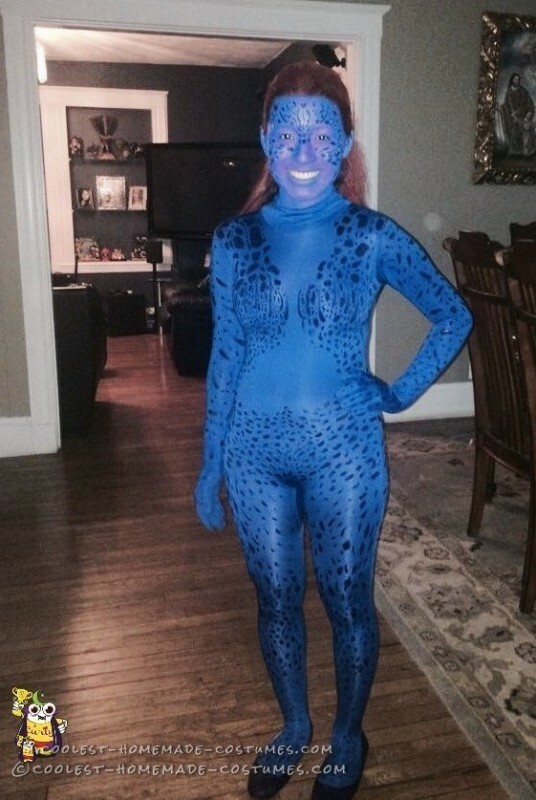 To make the full body Mystique costume took over 36 hours. 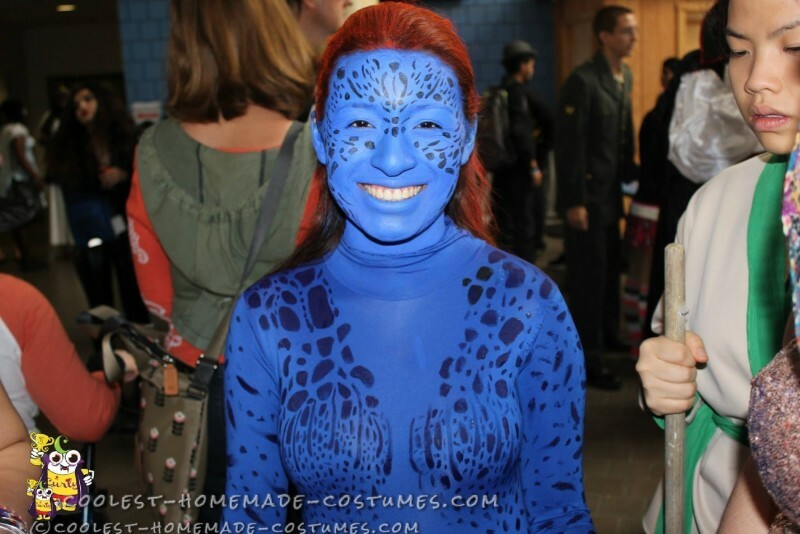 What I did was buy the blue body suit and then I applied navy blue acrylic onto the blue body suit and started designing each of mystique’s scales. Every single scale that appears on the costume was hand made. 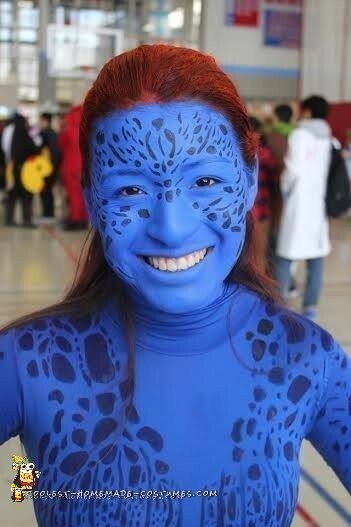 After that I used blue face paint and with a sponge spread it through out my face. 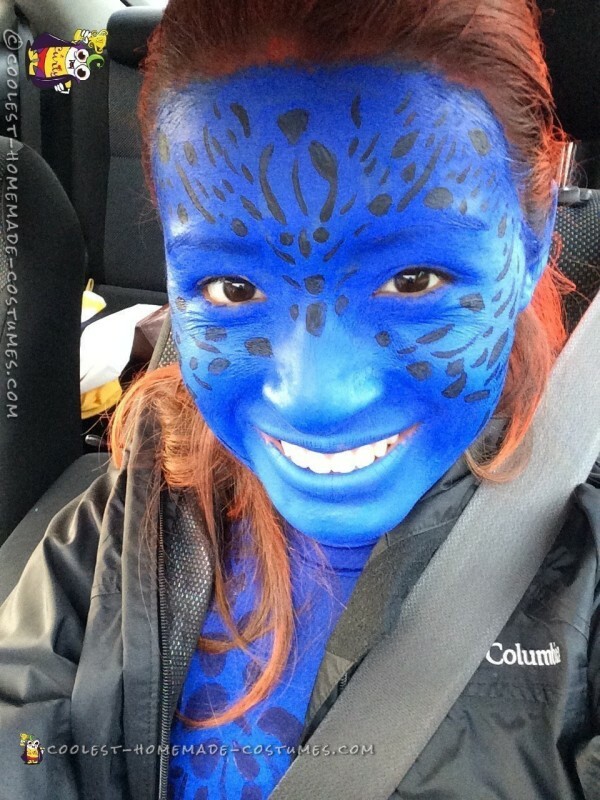 Then I used black face paint and a very thin brush to paint each scale onto my face. Finally I grabbed a bunch of bobby pins and slit my hair back and used 2 cans of red hair spray.